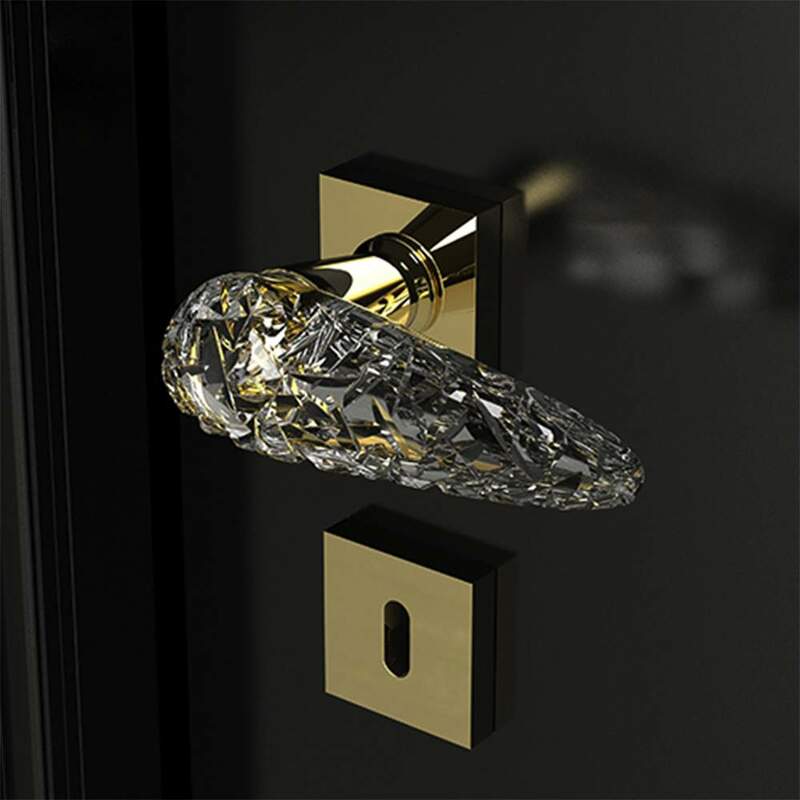 Lavish and splendidly striking, The Ice luxury crystal door handle, is a sculptural masterpiece majestically formed into an elegant work of art. 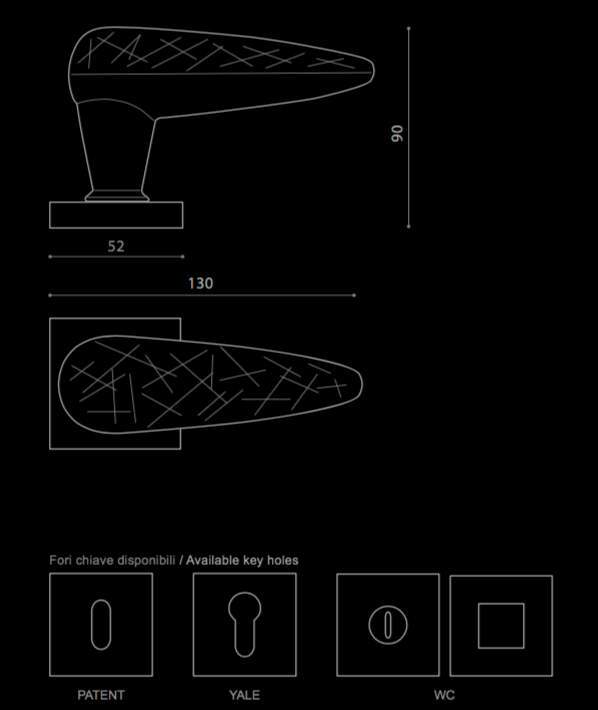 This luxury door handle makes an intense statement all on its own, and though it will compliment a contemporary style best, it will also enhance a traditional design setting. Made out of luxurious crystal based material (%24 lead content) enhanced with its true color, this modern door handle comes in a set of two and is available in designer inspired colors: Transparent Handle with Gold or Chrome Hardware. 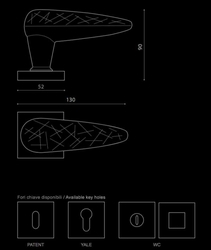 It also has the option of Yale or Patent keyhole covers or thumb-turns for bathrooms.